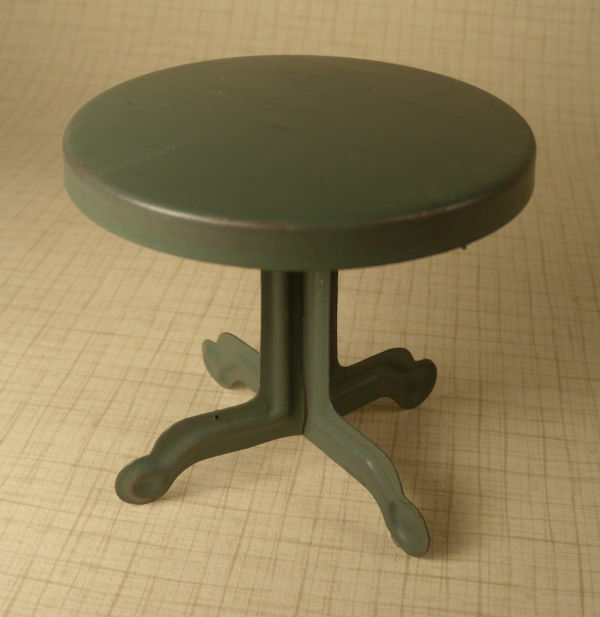 Nice looking round table made from tin, with a center pedestal and 4 legs, which have an impressed design. 2 3/4" high, diameter at top is 2 3/4". Enameled a nice dove gray. Great condition, with no breaks or repairs. I am not sure when this table was made, possibly 1940's or early 1950's. 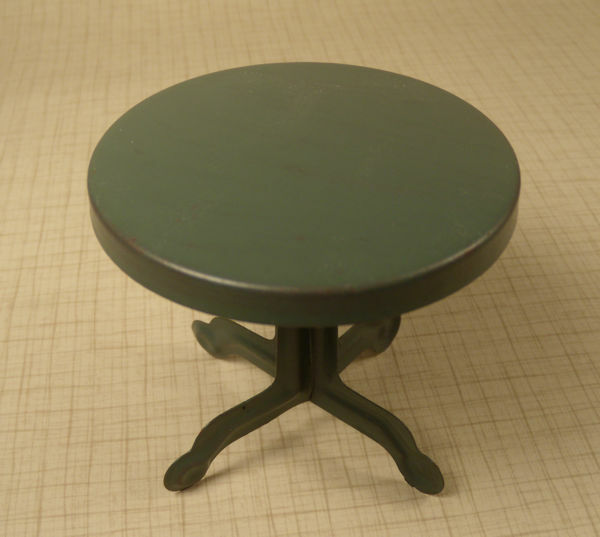 I am interested in purchasing Tin Round Table.